The cabin is a traditional architectural form found throughout Canada and the US. Vancouver Art Gallery’s Cabin Fever investigates its influence on the cultural identity of the region, acknowledging its roots whilst tracking a dissemination across the internet and into consumer culture. Until 30 September. Find out more here. 1. University of Colorado, College of Architecture and Planning, Colorado Building Workshop, Outward Bound Micro Cabins, Leadville, CO, 2015. Photo: Jesse Kuroiwa. 2. 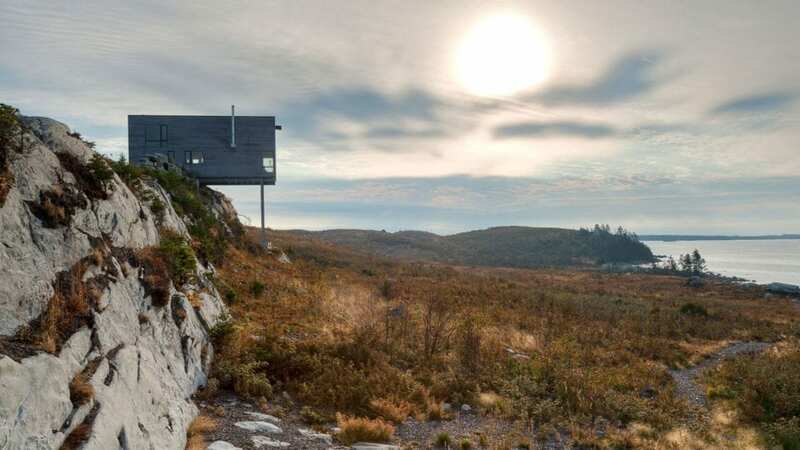 MacKay-Lyons Sweetapple Architects Limited, Cliff House, Tomlee Head, NS, 2010. Photo: Greg Richardson, courtesy MacKayLyons Sweetapple Architects Limited. Vancouver Art Gallery reflects upon Stephen Shore’s important body of images created during visits to Monet’s garden at Giverny between 1977 and 1982. With a campaign image shot by Viviane Sassen, the second edition of Unseen Photo Fair looks to promote work by emerging talents and otherwise unseen pieces. From 26-29 September. Andrea Clarke is wholly interested in the spaces that surround us, questioning the confines that they offer and the anonymity attached to home.